Welcome to the website for the 2018 SFA Conference! Scroll down for Agenda and additional information. Attire: Business Casual for all meetings. Sunday and Monday night dinners are casual. Wednesday night gala is cocktail attire, tie optional. * Events marked with star (*) are only open to franchisees. Rooms are $229/night in our block. Rates are guaranteed through July 14, 2018. To reserve call 1-512-308-1234 or click below. Austin-Bergstrom International Airport – AUS is the closest airport to fly into. All registered conference attendees can choose one of these sponsored activities for Wednesday, October 3, 2018. Register early as space is limited on some activities. 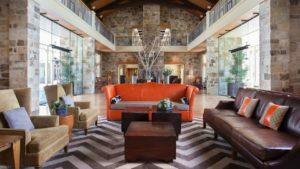 Situated at Hyatt Regency Lost Pines Resort and Spa, Wolfdancer Golf Club is an award-winning public golf course 20 miles east of Austin. 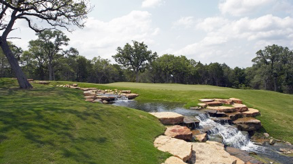 Wolfdancer, named in tribute to the heritage of the Tonkawa tribe of Central Texas, will test a golfer’s skills across a mix of terrains. Each player, no matter how skilled, will find Wolfdancer a challenging yet satisfying experience. The course is an 18-hole, par 72, 7,205 yard course, designed by Arthur Hills and Associates. In 2017, it was named by Golfweek as “Best Courses to Play in Texas” #10, and in 2016 by Golf Advisor as one of the Top 50 US Courses. 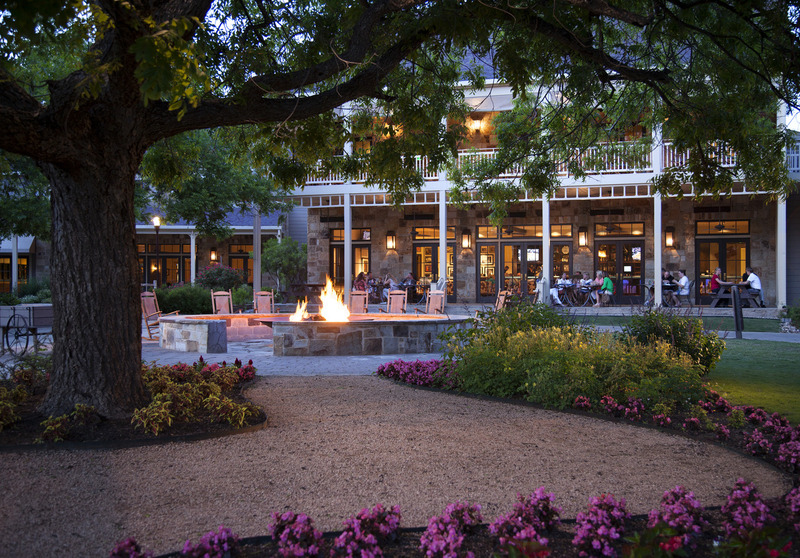 It was also voted “Best Practice Facility” in Central Texas by Avid Golfer Magazine. Box lunch included. Discover the best of Austin in this afternoon tour! This fast-paced “bucket list” tour will give you a great snapshot of Austin: from history to weird to music and art – this is everything that encompasses what makes Austin great! Get dizzy gazing upward at the Capitol’s dome; learn about the life and legacy of one of our most famous residents – Lyndon Baines Johnson; explore cool outdoor art; snap photos at city landmarks; experience a private music concert at Antone’s, and check out funky neighborhoods only a local would know about. By the time you’re done with this tour, you’ll be able to say you “get” Austin – the history, people, music, culture, food and what keeps it “weird.” If you’re looking for a snappy quick overview of the city, or just need to prove to the social media universe you were in Austin this is the tour for you! Box lunch included with this tour. Quite literally, “Django” translates to “I awake.” Through this sense of awakening, Spa Django has developed pampering treatments that are tailored to enliven each of your senses through music, art, nature, movement, and fun. During your Django experience, you’ll explore the concepts that we’ve infused into each treatment. Select your own music in order to unwind and envelop yourself in the serene setting. $150 Spa Credit to be issued to the Spa for your treatment. Any additional monies owed will be an on your own cost. Call the Spa directly to book your appointment on Wednesday, October 3rd at a time convenient for you. The Franchisee meeting that morning will be ending by 11:30am. Should you need to cancel, please make sure to do so at least 6 hours prior to your appointment or a $75 cancellation fee will be paid by you directly to the spa. The Patriot Club is a private club opening its doors for our exclusive use during this group activity. The Range is truly a unique experience. They strive to create a comfortable, accommodating atmosphere where you can explore different styles of firearm while enjoying a gorgeous lounge atmosphere. Box lunch included with this activity. Zipline in McKinney Roughs Nature Park. This exciting activity will give you the ultimate overview of this part of Austin. 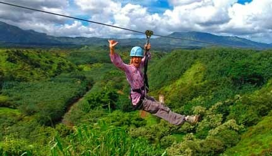 During this 2.5 to 3-hour zip line tour experience, you will ride 6 zip lines and cross 3 suspension bridges. All lines are dual, meaning you zip side by side. The passive breaking system means you can simply enjoy the views! Lines vary in length from 146’ to 1,315’. This activity will give you views of the Colorado River, Lost Pines and Wildlife . Be sure to look for Bald Eagles! McKinney Roughs Nature Park entrance included, as well as Backyard games (corn hole, horseshoes) for your enjoyment during this afternoon activity. $25 lunch voucher included in this activity.